The Scientific Advisory Board has created The Healthy Child Guide based on a careful review of hundreds of scientific studies. We are currently at the state of medical knowledge where we can prevent a large percentage of neurological conditions with well-defined health and lifestyle changes. These health and lifestyle changes are clearly outlined in The Healthy Child Guide. At NHF, we know that when parents follow the recommendations in The Healthy Child Guide they will greatly increase the probability of having a healthy child free of chronic neurological conditions. Yet, we plan to go one step further. We are establishing the most comprehensive research study of its kind, investigating the efficacy of following the recommendations in The Healthy Child Guide. And you can help. If you are planning on having a child soon, you may sign-up to learn more about participation in the NHF Research Studies. 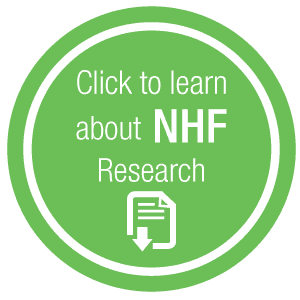 NHF Research Studies are administered by members of the NHF Scientific Advisory Board and are designed to improve key health and wellness recommendations from preconception to early childhood. NHF Research will open a valuable window for parents, medical professionals and global communities by discovering what health and lifestyle changes are necessary to produce healthy happy children free of neurological conditions.